8 Causes of Under-Eye Circles - How you get them and what can you do? 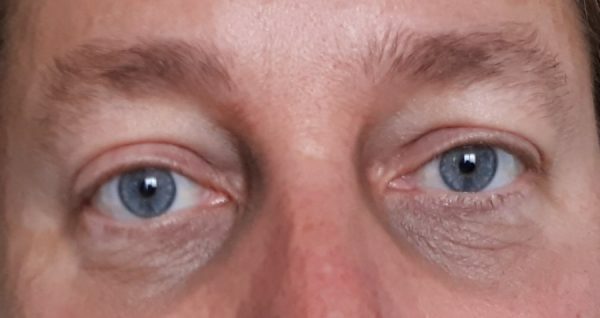 Dark under-eye circles can make a person look tired, like their mascara had run, look like they had been sick or even been in a fight, depending on how dark the circles are. There are causes for dark circles under a person’s eyes. Yet the solutions to treat them are very simple. Most experience under-eye bags after a night short on sleep. Lack of restful sleep is the most common reason dark under-eye circles occur. The skin is thinnest in this area, it can be easier to see blood vessels, making the area appear darker. Beyond fatigue, here are eight reasons you may have them. From sneezing to watery eyes. Nasal Congestion is also a common symptom of seasonal allergies, and one that may contribute to your dark under-eye circles. A stuffed-up nose can lead to swelling of the blood vessels near your eyes and nose causing the skin to appear darker. If you are experiencing chronic stress on a regular basis this can affect one’s ability to get sufficient sleep. A lack of needed rest can make the skin appear more pale, and the eyes more sunken, both of which can make dark circles more noticeable. Additionally, when the body is under stress more blood goes to vital organs, leaving the face looking pale – pronouncing the appearance of dark circles. A lack of water consumption causes skin cells to shrink, creating lack of elasticity and drier skin. The skin under the eyes becomes more transparent, therefore darker. Those dark under-eye circles? You may have got them from your mama. Soaking up some rays may give you a nice sun-kissed glow, but it may also be the culprit of your dark circles. Sun exposure prompts your body to produce more melanin. Too much UV radiation can also damage the DNA in skin cells and kill them off. As a result of damage, dark circles become more pronounced. Aging also plays a large part in the development of under-eye circles. As you age, the skin naturally loses some of the fat and collagen that supports the skin which makes blood vessels under the eyes more obvious. The skin’s elasticity will also weaken, leading to more sagging of the skin. The liver isn’t the only part of the body affected by drinking alcohol. Dark circles may become more prominent because alcohol allows the small vessels in the skin to dilate or expand. Smoking is another unhealthy habit that can increase the appearance of bags under the eyes, whether traditional or electronic cigarettes. Dark circles may also indicate a health concern, such as anemia – a lack of healthy read blood cells or hemoglobin, which carries oxygen to the cells, most common due to an iron deficiency, which affects the circulation of the blood. Women are particularly at risk of developing iron deficiencies due to menstrual cycles and insufficient nutrients in diet. Self-care is one way to reduce or eliminate the appearance of dark under-eye circles. Sufficient, restful sleep, healthy diet and adopting healthy habits (quitting smoking or drinking) can greatly improve your health and appearance. Along with self-care, dark under-eye circles can be reduced or diminished at an accelerated rate by galvanic spa under-eye treatments. These under-eye treatments are being offered at a reduced rate of 15% off the regular price at $17.00 (plus tax) for a 5-minute session. Only on until June 29, 2018. Contact us to book your appointment now to take advantage of this limited time offer. I am very happy with the service and treatment that I have gotten from Shelly. I have been very pleased with the services that were given to me – especially the laser on my face with has gotten rid of the visible veins I had lived with for years! It is so nice to not have to pluck my eyebrows or have to shave my underarms. I have noticed a lack of body odour as a result of no underarm hair. Thank you, Shelly!